Why not consider changing your outside area into a beautiful, feature garden to relax in or entertain your friends and family? Or create a more functional space with style that meets your family's desires? A paved patio area or block paved driveway can provide you with all of this. Why not look through our gallery to see how our previous customers have transformed their properties. M&T are a small family run landscaping company with a hands-on approach to the trade ensuring the highest standards possible. 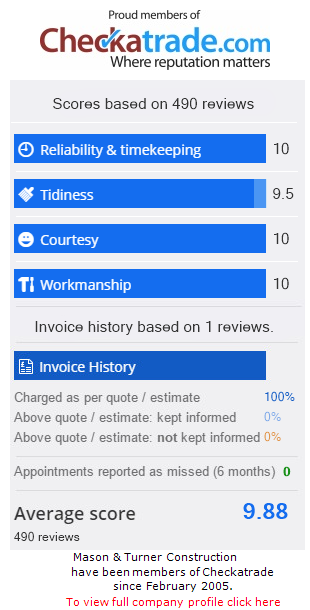 We strive constantly to exceed our client's expectations and leave our customers 110% happy. We use man-made and natural products in a variety of innovative ways whilst always remembering that quality of workmanship and customer satisfaction has the highest priority. We are a Brett Approved installer (since 2005) receiving many awards for quality of workmanship and professionalism and an approved installer for Natural Paving. We are also a member of Check a Trade. Check a Trade is committed to eliminating Rogue Traders - Take a look at our previous customer comments. As of October 2008 Planning permission is now required to lay traditional impermeable driveways, such as block Paving, Tarmac and Concrete that allow uncontrolled runoff of rainwater from driveways and front gardens onto roads, as this can contribute to flooding and pollution of watercourses. Click here for more information. M&T offer their landscape and block paving services in the Poole, Bournemouth, Ferndown, Ringwood, West Moors, Verwood & Wareham areas of Dorset. Click here or phone us to see what M&T can do for your property.